At Reilly Foam we take pride in the end product delivered. We offer several key fabrication services to ensure we meet all your foam needs. We also offer Contract manufacturing services with the capacity to output large units of foam products daily. Our full service processing plants are equipped with cutting edge technology and certified to produce high quality products. Kiss cutting is a type of die cutting process which allows gaskets or pads lined with adhesive to be cut into specialized shapes/designs. The process involves a partial penetration of the material and adhesive utilized must be pressure sensitive. The application of kiss cutting in production allows the finished product to be rolled and stored with ease. Horizontal/Vertical saw cutting involves the use of large segments of materials that are cut down to smaller sizes or trimmed and refined along the edges. This type of fabrication technique minimizes wastage of the baseline materials and allows precision cutting when needed. The application of this method is not limited to a specific type of foam and is widely used because of its efficacy. Precision die cutting is used with foam based products to cut custom gaskets and other shapes with speed and a high level of accuracy. This cost effective technique can be used for a wide range of sizes and quantities. The major advantage of this process is the uniformity that it allows across all cuts. It is ideal in the manufacturing of products that require specialized custom designs. We offer 3 types of CNC foam cutting services including Waterjet, Router and Contour Cutting. Waterjet Foam Cutting is used to replicate identical cuts during production. Router foam cutting is most applicable in the creation of packaging foam material. Contour Cutting allows us to create intricate shapes using cost effective specialized equipment. Flame lamination involves the use of an open flame in the creation of foam based laminates. The passage of the flame over the material creates a very thin layer of molten polymer on the foam surface. This layer is then combined with a secondary layer under high pressure to create a bond between both surfaces. The technique is widely used in the textile industry in particular for: medical, automotive and industrial applications. Adhesive lamination makes use of pressure sensitive adhesives that are acrylic and silicone based. Typically materials that require this type of lamination are too thin by themselves for a specific application and therefore, require additional thickening or strengthening. 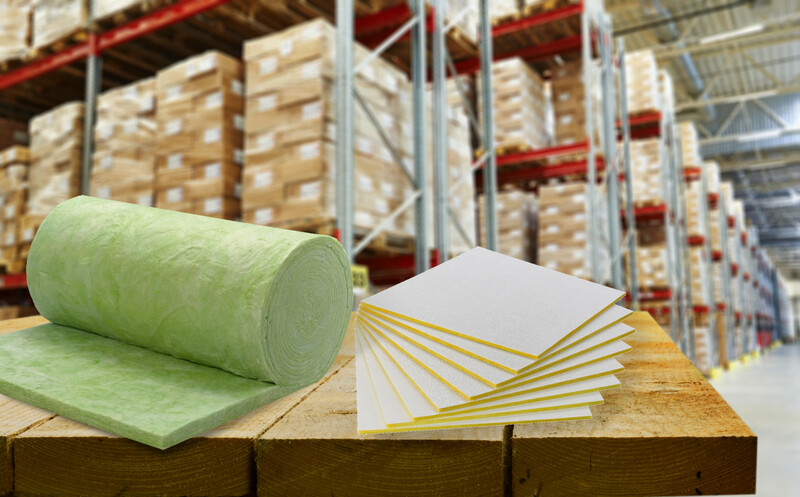 This technique is ideal for sheets of polyurethane, sponges, silicone rubber and other common foam materials that may need to be reinforced. Roll slitting is a process which involves creating smaller rolls from shearing a larger roll. 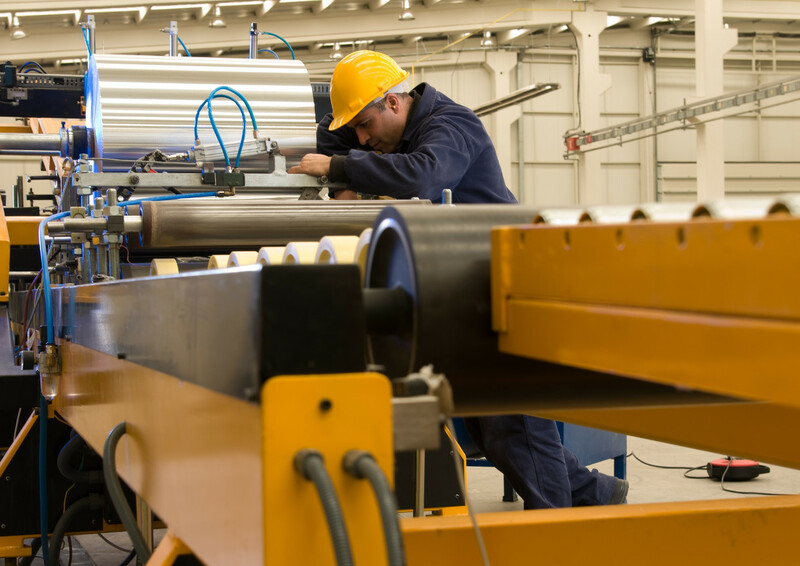 There are two types of roll slitting: rewind slitting and log slitting. Log slitting involves the wholesale processing of the material with simple slices being used to reduce size. Rewind slitting involves the cutting of an unwound roll and then subsequent rewinding of each segment into smaller rolls. Pressure sensitive adhesive, self adhesive, PSA or self stick adhesive is composed of an adhesive and a material that allows easy application of the product to another surface. The adhesive does not require a solvent or heat for application and typically needs minimal pressure to quickly set it in place. The bond from the product will largely depend on the smoothness and cleanliness of the surface. Convoluting is the process of using special fabricating techniques to produce foam with a ridge like surface or egg crate shape. This process is useful for the manufacturing of packaging for delicate items that require additional cushioning when being moved or stored. It is also utilized in the creation of sound absorbing or acoustical foams. Buffing and shaping is the process of creating specialized foam products that are smooth and shaped to fit a specific application. This is carried out using cutting edge technology that creates an end product that is seamlessly finished. The technique is often used in the creation of foam pads, cosmetic applicators and cleaning sponges. RF Welding is a sealing method that utilizes a radio frequency to generate heat allowing two surfaces to be fused together. By combining electromagnetic energy and pressure the resultant seal is just as strong as the original materials and is resistant to wear and tear. This technique is ideal for use on PVC foam. Other heat sealing alternatives are also available. Our sponge printing services are utilized to add custom designs, logos, and other graphical elements to sponge based materials. The products are prepared and processed using cutting edge techniques to ensure that the designs are replicated correctly and consistently on the material base. 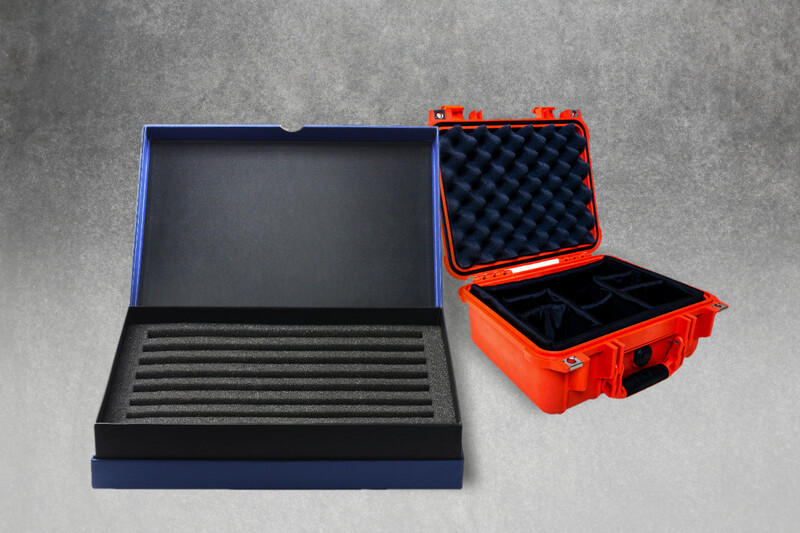 Some foam based materials require further strengthening or additional customization using specific solutions. We use top of the line production techniques to infuse materials with requisite chemical solutions to achieve the desired results. All products used in this process are prepared following safety guidelines and a streamlined process. We offer Branded products, Private labelled products, Packaged/Kitted programs, Date Coding on products and much more. Our custom solutions are manufactured using innovative technologies in the processing of all baseline materials. This allows us to meet and exceed customer expectations and deliver a high quality end product. Speciality materials include polyurethane, rubber, cellulose, melamine, non woven fibers and fabrics.